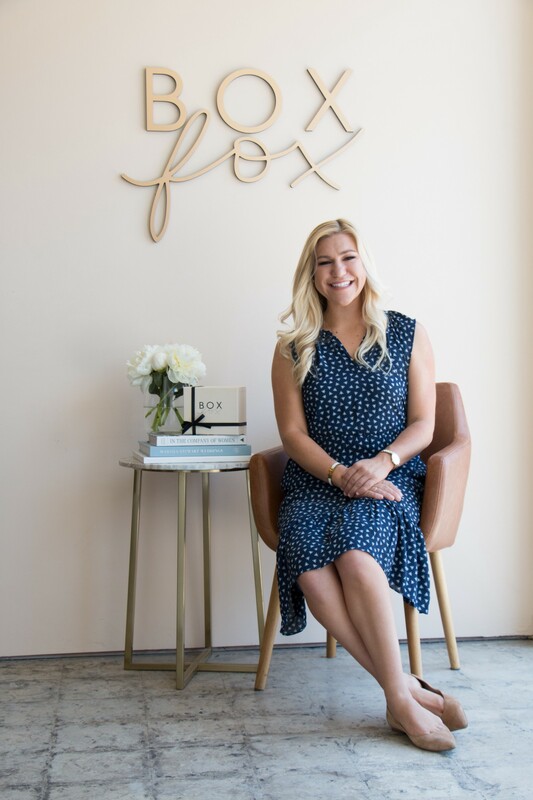 I had the pleasure of interviewing Jenni Olivero, COO of BOXFOX; the premier brand for thoughtful, sincere and convenient gifting. Since 2014, BOXFOX has been solely run by female entrepreneurs with the entire leadership team being under 30 years of age and BOXFOX has experienced three consecutive years of tripled consumer sales — all with no outside investments or funding. Right out of college, a good friend of mine and the BOXFOX founders (Chelsea Moore, CEO and Sabena Suri, CSO) was hospitalized. We found ourselves unable to visit our friend because of our own crazy work hours. We We wanted to gift her a care package with her favorite comforting essentials, but we didn’t have time to run around to several different stores, then grab a card, and make it to the post office. This clear need inspired the idea for BOXFOX, a platform that provides customers with the tools to build unique and personalized gifts of their own, making it all effortless yet elevated. To me, what makes BOXFOX different from any other gifting service is that from inception, BOXFOX was created from a place of never wanting to take the fun or heart out of curating a gift or care package. Our proprietary software, BUILD A BOXFOX, is powered by an algorithm that allows customers to build more than 2 billion possible unique combinations and craft their own gift experience. Customers can create their own gifts that will then be hand-wrapped with care and topped with a handwritten note — keeping the gifting process personal and one of a kind. There’s quite a bit in the works right now. We’re knee deep in holiday 2019 planning and we’re upping our B2B game with a streamlined platform that makes it even easier for our corporate clients to send beautiful, elevated gifts. I have so many favorites, but The Alchemist resonated with me in a big way. It’s a hero’s journey story written in extended metaphors. I’ve read it several times over the years, and every time it’s meant something entirely different to me. On one occasion, I read the book aloud to my best friend after a messy breakup. We were cuddled up with her sisters, eating cheez-its and laying with green tea bags over her puffy eyes. It was too soon for her talk about him and turning on the tv just didn’t seem right, so I picked up The Alchemist. I wanted her to know I was there for her, and even if she was only halfway listening, I knew the story would still have a respectful significance for her feelings and what she was going through. a. Learn to embrace hard work: Founding your own company is a lot of responsibility and a lot of hard work. There is so much more to do than build the brand and get orders out the door. At least in the beginning, everything from taking out the trash to running payroll to renewing the business license fell on my and my coworkers shoulders. We adopted a “just do it” mentality from day one, and quickly learned to roll up our sleeves and face all of this hard work with as much enthusiasm as the fun stuff. b. Know your truth: Especially in the beginning, there was a lot of naysaying. Some people flat out didn’t believe in the idea, some would belittle the cutesy gift box business, others couldn’t wrap their heads around the concept. But in the face of all that negativity, my co founders and I persisted. To help stay grounded, I love to scroll through and browse the notes on our client orders. So many people are shopping and purchasing wonderful heartfelt reminders of celebration, love, and gratitude — all of which remind us me of what I do and why I do it. c. Every challenge has its solution: Roadblocks are bound to pop up big and small, but it’s all about the way you react to them. Earlier this year, I placed an order for our boxes to be manufactured in China. I was strictly concerned about getting enough boxes in hand for Q1 & Q2, racing against Chinese New Year. I was so focused on the math and timelines that I failed to realize our warehouse wouldn’t fit 30k+ boxes in all of our new box sizes. But there are always a dozen different solutions for every problem. I had storage pods shipped to BOXFOX, which we filled to the brim, then sent away for storage. For a small monthly fee, our boxes stayed in storage until we needed them — a much better alternative than running out of our boxes! d. Delegate delegate delegate: Throughout the first year or so, Chelsea, Sabena and I had to get used to the idea that we had to do everything ourselves, and we did! So naturally, as we started growing our team, our systems had developed some bottlenecks. Who could pack boxes like we could? Who else could we trust with our Instagram? How could we expect anyone else to pitch our story as well us? It was a gradual process, but we’ve learned the importance of eliminating bottlenecks and empowering our team. With in depth training, workshops, weekly biz-dev meetings, and an open company culture, we know we can delegate confidently, so that we as founders can focus on what’s ahead. e. Relationships are invaluable: Since starting BOXFOX, I’ve become even more grateful for the wonderful people that surround me: my co-founders Chelsea and Sabena are there with me every step of the way, my family and friends who’ve helped pitch in, and our amazing dream team. Even as curators, we’re a sum of the brands we carry, and we’ve built some amazing partnerships over the last few years. I can’t emphasize enough the value of my network and support system. I would love to sit down with Joanna Gaines, the designer behind the Magnolia brands. She’s such a visionary, yet her style is still so accessible. She’s a designer, restaurateur, editor in chief, serial entrepreneur, and a mom. She does it all, and she walks so humbly. For that, she’s one of my biggest role models.